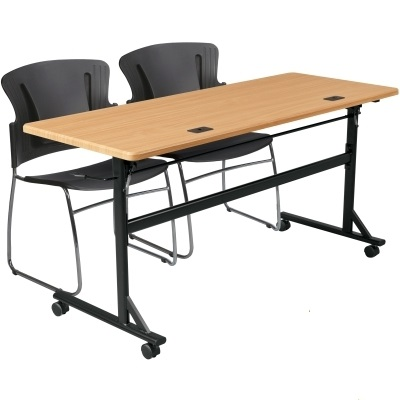 The Simple and versatile Economy Flipper Tables are the ideal table for virtually any training room or classroom setting. 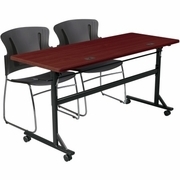 Lightweight and mobile tables are attractive and functional. Tops are vacuum-formed PVC with either a teak or mahogany wood grain finish, and flip back with a simple lever mechanism for easy transport, set up, and break down. Tables nest for compact storage.